A robot that showed up at a technology forum in Russia turned out to be a man in a suit. Russia-24, a state-owned TV channel, applauded a man in a suit believing he was a real robot, saying that “Robot Boris has already learned to dance and he’s not that bad,” the Guardian reported. One anchor said the perspective of the robot could move Russian youth in their profession decisions. The state media report demonstrated the robot saying “I know mathematics well but I also want to learn to draw,” before he went on to dance. Russian site TJournal asked how such an advanced robot had been developed so rapidly without any studies being published, why it seemed to have no external sensors, and why it was the ideal size for a human to fit inside. Photographs that rose later demonstrated the neck area of a man in a suit, uncovering that the "robot" ended up being a $3,800 "Alyosha the Robot" costume made by an company called Show Robots, as indicated by the paper. 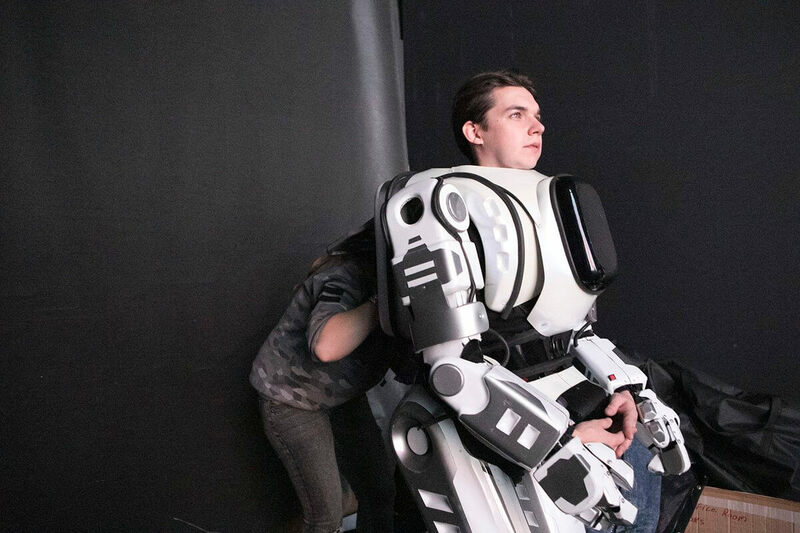 The robot suit is reportedly equipped with a microphone and tablet display, giving the “near total illusion that before you stands a real robot”. Reports recommend that show organizers never target groups to see the robot as something besides a man in a suit, and that the confusion only arose when it appeared on TV.